Unique Uniforms offers various pick-up points in Switzerland and Italy in order to provide its customers with different options for order pick-up, size exchanges and returns. In addition to the schools that support our distribution and customer service, we have corners where the clients can be served by our qualified and trained staff. Most of the schools we serve represent real pick-up points where parents can collect their orders, drop/pick-up size exchanges or deliver returns. Most of the times, it’s also possible to view a sample collection, available in all sizes, to help families choose the correct garments for their children. At B&C Swiss, our logistic partner, strategically located at the border between Switzerland and Italy, a convenient alternative for families who live in the Varese and Como areas, as well as for those who live or work in Ticino. At Brandy Melville store, in the heart of Milan, a strategic location to serve the families of our schools of the area. 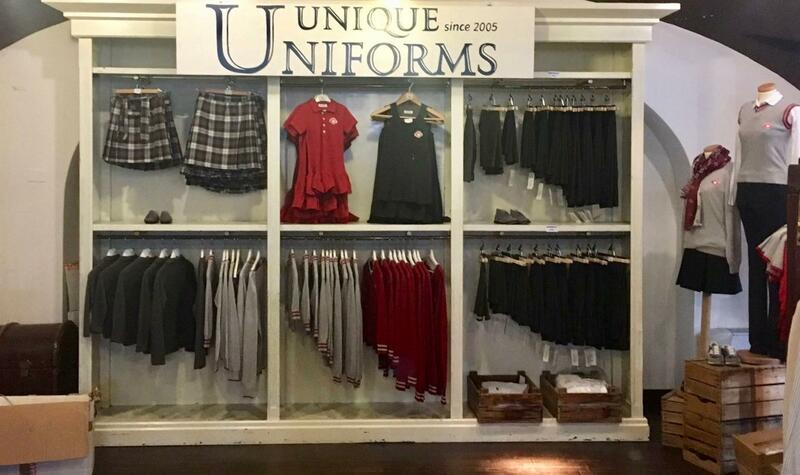 In addition to order collection, size exchanges and returns, our clients can take advantage of our uniform samples, present in all sizes throughout the year, to help them choose the correct garments to order on-line.